In a time when some tend to label all members of a group by the acts of extremists, such as those who think all Muslims are terrorists, or all Mexicans are rapists, SK and son choose to write a story that adds fuel to that fire. This novel is an insult to men, a subtle dig at women, and worst of all an in your face to good writing. This was seven hundred pages of constantly asking myself, “Where is the Stephen King I loved to read?” While there were hints of that SK, it was obvious the majority of the book was written by Owen King or at least SK was missing in action..
With a broad brush this diatribe paints most men as useless or as men who mistreat women. The #meToo effort has shown that there are men who fit these descriptions but even so there are plenty who do not, and I would argue most do not. Using stereotypes to describe male characters was pure laziness in my opinion. While trying to show how women do not need men it was ironic that men were the “heroes” in the story. Here again stereotypes were an easy way to write about the female characters. This and Gwendy’s Button Box, were written by SK and another author, let’s hope he decides to go solo again and write like the author he used to be. A ray of hope is that in 2018 he is releasing The Outsider which he did write alone. Hopefully, it will not disappoint as this one has. I give this one star, only because as a man I am one of the good ones. I am a Scotch drinker. I drink it neat. Neat means no water, no ice, nothing to dilute the nectar of the gods. I have read all of Stephen King’s novels and short stories. I love his writing, except for Duma Key. He is the god of horror. So why would he dilute his great writing with someone else, in this case, Richard Chizmar, and produce what can only be labeled as an elongated short story not worthy of attaching his name? This “novella” is a composite of The Monkey’s Paw (which, at least, King does admit in the story), The Black Box from the New Twilight Zone, with a hint of Carrie. King adds the character Mr. Farris who seems like he just stepped out of the Dark Tower series. This story is listed as Horror/ Occult and Suspense. It should have been listed under Teen and Young Adult Fiction. It is a coming of age story with a bit of paranormal thrown in. The plot is weak, and the level of writing is juvenile. The ending is all roses and daffodils. The main character, Gwendy, is destined to become a famous writer. Really? I can understand Stephen King wanting to help lesser known writers like Richard Chizmar. But this story does a disservice to both of you. Prior to this novel, I thought Duma Key was King’s most boring novel. Having read and praised the first two novels in this series, I was anxious to see how King finished the trilogy. What a disappointment! Sadly, once the book starts to pick up, it only lasts for twenty-seven pages. Then for whatever reason, King chooses to take us back in time to fill in some of the gaps. This can work, but not here. The gaps he wants to fill in are insignificant, and any intelligent reader has already done so. The plot line of the antagonist, Brady Hartsfield, using out of date “gameboys” stretched the bounds of believability and King had to scramble to connect all the dots as to how this was even possible. The ending is predictable, and like so many bad detective novels – insert Michael Connelly here – is not believable. King is a great writer, as he has proven time and again, but this one slipped by his creative skills. This one gets one star. Usually I can’t put a King novel down until I finish it, this, I just couldn’t wait to put down. 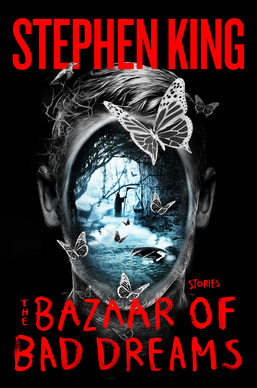 The master storyteller does not disappoint in this collection of short stories. The picture on the cover, showing inside a man’s head, is probably what you would see if you could open Stephen King’s head. King does not make excuses for what he writes nor does he question where he gets his ideas, so you either like him or you don’t. I do. The stories in this collection range from weird, chilling, and politically incorrect, to humorous. Stories like the Obits and Ur, could have come right out of the Twilight Zone. King shows his humor and insight into human nature in stories like The Little Green God of Agony and Drunken Fireworks. He even reveals his poetic side in The Bone Church. That Bus Is Another World is a story most of us can relate to as who has not seen a bus go by and wondered about the people inside? The final story, Summer Thunder, is a look at a possible end times scenario, that is probably more like what could be than most apocalyptic stories. My only semi negative comment is in the story The Obits. King is writing a fake obit through the character, Michael Anderson, and lists people who died at 27 of drug abuse. He lists Robert Johnson, Jimi Hendrix, Janis Joplin, Kurt Cobain, and Amy Winehouse. How could he leave out Jim Morrison? The stories are all excellent, and I enjoyed them even more because of the introduction by King to each story. Giving insight about the background for each story and how he came to write it reveals how King’s mind works. It was as if we could see inside his head. This gets five stars and is highly recommended. Do not read this book if you have not read Mr. Mercedes, you will not enjoy it as much. It would be like spaghetti sauce without oregano, it tastes good but you know something is missing. Having said that, the book does stand on its own. 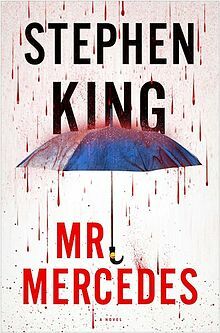 There are enough references to Mr. Mercedes to give the reader a good background to that novel. It is just that it is much more enjoyable if you have the full story. Weaving characters through seemingly random events, through various time periods, King masterfully brings them all together in a style all his own, The pace does not slow down and I found myself not wanting to put it down until it was finished. The driving force of the novel is the writings of an author named Rothstein, who is a combination of John Updike (Rabbit Run et al) and J. D. Salinger (who also shied away from the public eye). His undiscovered notebooks are the thread that ties the story together. This is Stephen King at his best. 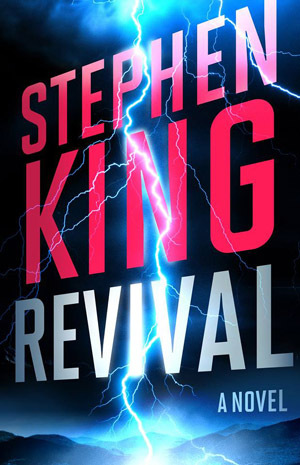 It is good to see after novels like Revival and Under The Dome. His use of movie, television, and book references always makes me pause to remember seeing or reading each one, especially the Godfather quotes. While this is book two of a three part series, the ending is satisfying and sets up the next story very well. Now we just have to wait. One flaw in this book is when the character Morris Bellamy is searching “his mother’s medicine cabinet for aspirin or Advil..”. The year is 1978, Advil came on the market in 1984. This a great read and I am glad to give it five stars! Stephen King is a master storyteller. He has the ability to grip you and keep you anxious to turn the page to see where a story is headed. Unfortunately, Revival is not one of them.. The story starts out well enough, setting the expectation that this will be one of King’s gems. Using first person narration, the main character, Jamie Morton, takes us back to his childhood and reveals how he was introduced to the Reverend Charles Jacobs. King has a way of describing childhood experiences that invoke one’s own memory of days gone by. Sadly, once we leave Jamie’s early years, the story begins to drift with long narrations of events that at times can only be described as boring. There is very little conflict to keep us interested and what does exist only makes the reader want to get to the end. The end is where I had the biggest problem. Having several options of how to bring the story to an end, King opts for one that left me shaking my head, asking what was his point. He attempts to make it scary but fails, philosophical but fails. I heard Stephen King in an interview say that he writes about the things that scare him. Based on the ending, he must be terrified of death. As I closed the book, my first thought was, is King just getting lazy. This had the potential of being a good story, and with another revision or two, Revival could have been another gem from the master storyteller. This one gets three stars. 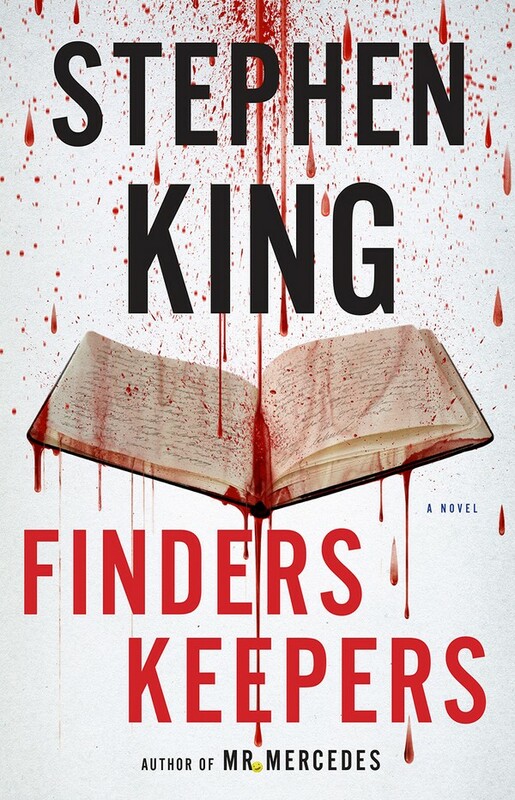 A retired cop, an old case never solved, a deranged killer still on the loose: all of which spells cliche, except in the hands of a master story teller like King. He creates characters that you can feel for and some you hate, but with both he weaves a plot that keeps you reading. King takes you on a ride of emotions, from laughter, sadness, to feeling just a little uncomfortable with his choices. A book like this makes you reflect on your own beliefs and prejudices. In reading some of the negative reviews about this novel, King has obviously struck a nerve in many readers. His stretching of what is considered PC and his viewpoints on life have been met with quite a range of responses. My thought is if a book makes you think or makes you just a tad bit uncomfortable all the better. Reading is designed to expand our minds and expose ourselves to a variety of ideas. If you are looking for a King story about the supernatural or horror this is not it. What we have here is a master using his skills to keep us entertained, to give us an insight on just how deranged some people can be, and to give us a mirror to reflect on the world we live in. No, it is not as good as “The Stand” (his best), but far above “Under the Dome”. Thank you Mr. King for an enjoyable read! Four stars on this one.